Discover Burlington Ontario: Be a Tourist in your Own Backyard! Planning to get away can be a challenge these days, with both time and money at a premium for many would-be travellers. Fortunately, there is a way to satisfy wanderlust that is easy on both: be a tourist in your own backyard. Discovering what others come to see in your hometown is a fun and rewarding all-season activity. Explore the affordable, eclectic and unsurpassed mix of dining, shopping, history, art and nature that is Burlington on your own or with your family - it’s all waiting for you now! The best thing about touring your hometown is that it is so easy to do. Start with a call, e-mail or visit to the Burlington Tourism Visitor Centre, located in downtown Burlington at 414 Locust and a half block north of Lakeshore. Get the information you need from our friendly counsellors and then make your plan. It can be a series of day trips or a longer vacation where you get away without having to go away. No matter what your vacation style, you can indulge it right here in Burlington. Get Back to Nature. Natural beauty of awe-inspiring diversity is all around you in Burlington. From the waterfront, to parks and conservation areas, nature beckons. Answer the call by visiting them all or choose among them to round out your other interests. Bronte Creek Provincial Park, Kelso/Glen Eden, Mountsberg, Crawford Lake, Hilton Falls, Rattlesnake Point and Mount Nemo conservation areas are rugged park experiences and each reflects a distinct character with special attractions. The unique ecosystem of the Niagara Escarpment provides world-class outdoor activities, including challenging hikes along the Bruce Trail. For a more urban park experience, visit The Waterfront at Downtown Burlington; the one-of-a-kind Paletta Mansion and Lakefront Park, a 14-acre heritage estate on the lake; and LaSalle Park, winter home to trumpeter swans. Reserve a picnic area at Hidden Valley Park, LaSalle Park, or Lowville Park and spend the day. Canada’s largest botanical garden, the Royal Botanical Gardens, offers year-round experiences. Explore acres of nature areas, trails, and spectacular seasonal shows of lilacs, tulips, iris, roses, and fall colours. Embrace Burlington’s jewel by the waterfront, Discovery Landing. In addition to sweeping vistas of Lake Ontario, it offers 14,200 square feet of enjoyment for the entire family, including a weather observatory, restaurant, expansive children’s playground, water jet plaza and pond used for model boats in the summer and skating in the winter. Get Some Exercise! All of this natural beauty goes hand-in-hand with healthy living, where you can indulge your passion for action and family fun. Whether you like to walk, run, roll, swim, swing a golf club or skate, the exercise is complemented by the wonderful scenery, parks and attractions along the way. Join Family-Fun Events. 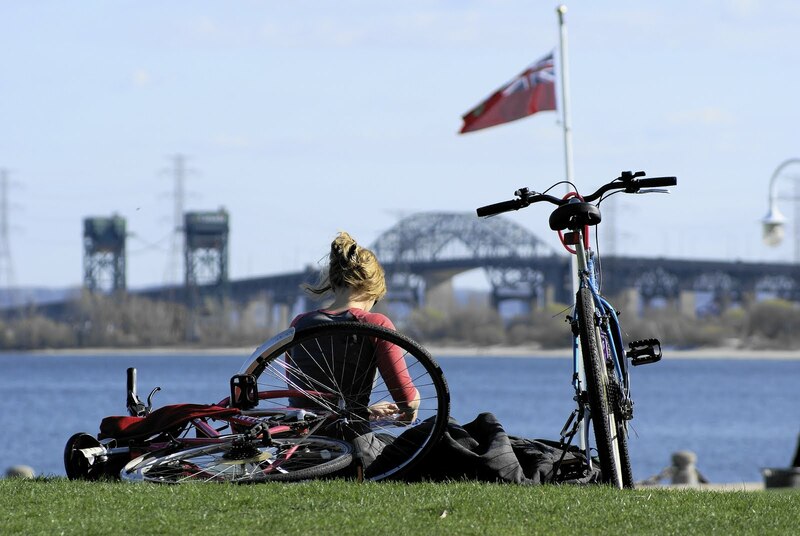 Burlington hosts numerous festivals, including Doors Open, Festival of Fine Art & Crafts, road races, The Sound of Music, Canada Day, Country & Blue BarBQ Festival, Joseph Brant Day, Children’s Festival, a Sandcastle Festival, the Rotary Ribfest, and much more. The Visitor Centre can provide information on them all. Take a Step Back in Time. Experience Burlington’s proud history. Joseph Brant Museum, a replica of the home of Captain Joseph Brant, houses Burlington history and Canadian costume and accessory displays. After touring it, take a stroll along Downtown Burlington’s streets to discover some of the beautiful first homes built, dating back to the late 1800s. A Walking Tour of Burlington Downtown brochure is available from the Visitor Centre. Travel through three distinct time periods with a visit to Ireland House at Oakridge Farm, circa 1835-1837, a living history museum and 3.68 acres of woodland, gardens, a potting shed, cottage/drive shed, and picnic areas. Tours, historical demonstrations, special events and educational programs are offered. 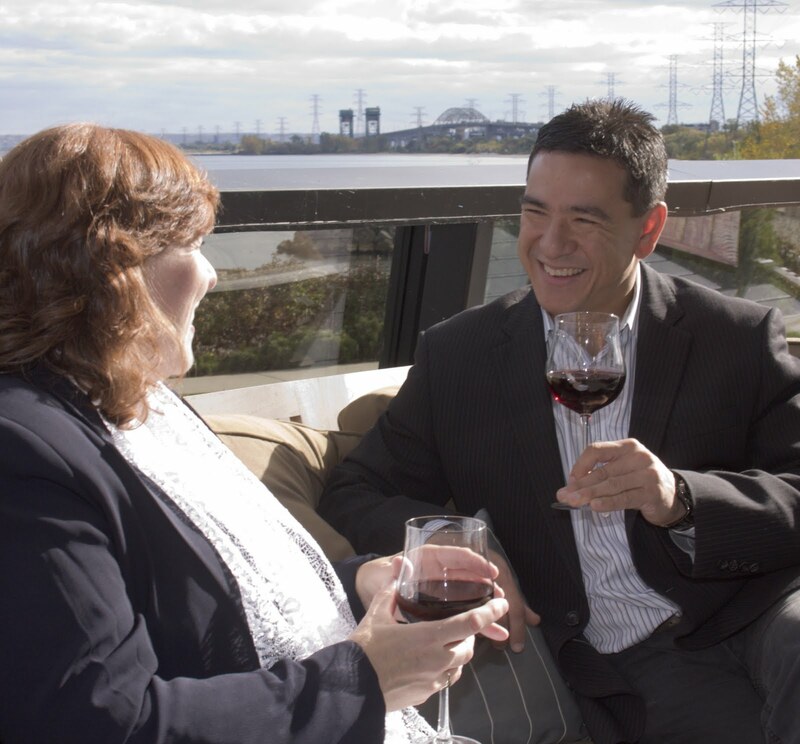 Travel north of the city to see the history preserved at the Halton Region Museum and visit the Streetcar & Electric Railway Museum, where you can take a ride and explore the 1912 Grand Trunk railway station. See Inspirational Art. Expand your artistic boundaries with a visit to the Burlington Art Centre, home of Canada’s foremost collection of contemporary Canadian ceramics; art exhibits; the Art Etc Gallery Shop; an indoor conservatory and a cafe overlooking the lake. 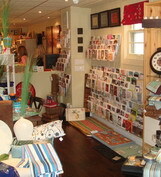 Artists Walk in historic Village Square offers unique items created by Canadian artisans, and Burlington galleries allow you to browse to your heart’s content. The city’s passion for the arts also is represented by numerous performance groups, so check to see what’s going on during your tourist time. Tantalize Your Taste Buds. Food is always a key element in the success of any vacation, and Burlington restaurants offer the variety needed to ensure memorable excursions. With several award-winning establishments, a mix of family-friendly, casual and fine dining and a wide range of menus to choose from, deciding where to go will be a challenge in itself. Enjoy a new culinary experience. The Taste of Burlington Event offers a pre-fix menu dining event. Checkout A Taste of Burlington for more details and participating restaurants and event dates. Shop Until You Drop. Like food, shopping is one of the guilty pleasures of being on vacation, and shopping in Burlington provides hours of browsing pleasure for the whole family. Downtown Burlington has strong ties to the past, yet offers an upscale, eclectic shopping environment. Burlington also has other distinct shopping areas, including retail plazas, two large malls, and big box centres, such as IKEA, Lee Valley, Mountain Equipment Co-Op, and Costco. Become a Day-tripper. No time for a longer vacation? One of the unique benefits of being a tourist in your own backyard is day-tripping, and Burlington is a day-tripper’s paradise. There are great destinations just a short drive away. Burlington also has numerous scenic routes featuring leisurely drives along the waterfront or through the Burlington countryside, with interesting stops along the way. Burlington has so much to offer that getting away without going away just makes sense. Whatever the season, decide what you want to do, check out where to do it in Burlington, and go. Learn, see, do, exercise, relax, shop, dine – all in Burlington. Then head home without any travel stress and start planning your next adventure as a tourist in Burlington. Get set to celebrate June 6-12, 2011! Tourism Week in Canada is an annual, country-wide celebration that aims to increase the profile of Canada’s $70.6 billion tourism sector among the media, general public and governments at all levels. Tourism Week provides a focal point for activities organized by tourism industry associations, destination marketing organizations, individual businesses and other tourism partners. Tourism Burlington will be celebrating National Tourism Week this year, to promote local attractions, events and Tourism Ambassador Training. 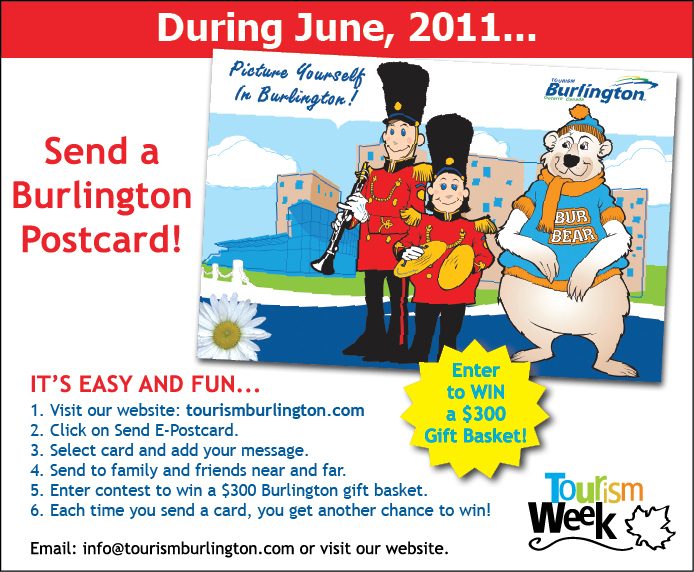 Check the tourism Burlington website for more details. To celebrate National Tourism Week, June 6-12, we invite you to send your friends and family an E-Postcard of beautiful Burlington! With over 20 different E-Postcards to choose from highlighting Burlington’s summer festivals, fall nature and culinary experiences, you can customize a personal message to your recipient; share on your Facebook, Twitter and Myspace for your chance to win a Burlington gift basket valued at $300.00! The more E-Postcards you send to family and friends, the more chances you have at filling out our short survey and winning! Our E-Postcard contest runs the entire month of June ending at 4pm on June 30.